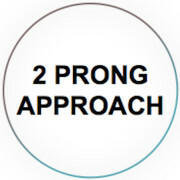 Our 2 Prong Approach of Psychological Morphology and Design Analysis is a profoundly effective, academically grounded contemporary framework to assess the dynamic circle between consumers’ needs and motive based product experiences and preferences, the product DNA style, the impact on design and branding strategies and back to how products impact how we live and feel today and create tomorrow. One of our two key specializations are consumer products where the tangible and visual part, their design is of strategic value and essential for their success. Our work here ranges from early product stages to existing products on the market; e.g. 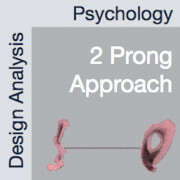 assessing prototypes in directional clinics or design directions in studio tests. The Psychology Prong is an in-depth sense-making system for the complex, conscious and unconscious logic of what moves consumers. As Morphology moves the dynamic between products and consumers to the center, it is actively used by international corporations to explain consumer product and market relationships. The Design Analysis Prong translates consumers’ experience of design and material into vivid understandable directions and descriptions to work from. With this approach we can express research insights in the combined languages of psychology and design – together a sophisticated and physical level of in-depth consumer research. Understanding the grammar of form and materials allows us to link the tangible, physical ‘language’ of products to consumer product perceptions and their underlying motivations and here to assess how they function for people to build and model their lives from and to shape their identity. We can tangibly and precisely point out what effects and impacts design causes, which effects are strategically decisive and where exactly in the product core issues are present. And we put the design analyses in the psychology context: without the overall motive context, uncertainty remains. Motive background, trends and brand position are key factors to place consumer opinions. Our work is not about changing details consumers don’t like superficially; our work is about explaining the overall mechanisms at work and developing clear and strategic recommendations based on them. This also allows moving away from just focusing on respondents’ opinions and impressions. Specific outcomes provide a sensual design analytical and the psychological “roadmap” key to successful product planning and market positioning. We reduce the inherent insecurity of decision making by matching consumer motivations and needs, cultural specifics with how the prototype/product meets them and the brand position in the market field. Our results are accessible and supportive for market research, product planning, R&D, design and engineering.